A former POW tells his story as we honor former prisoners-of-war and those missing-in-action. Don Heiliger was flying combat missions in 1967 when his plane was hit and he was forced to eject over North Vietnam. He had been listed as MIA for a couple of years. But, it was later learned that he was a POW. Captain Heiliger was captured the day after he was shot down and spent nearly six years as a prisoner-of-war. Heiliger says the hardest part of his capture was the pain and suffering endured by the families back home — the not knowing. Heiliger was eventually released during Operation Homecoming on February 18, 1973. 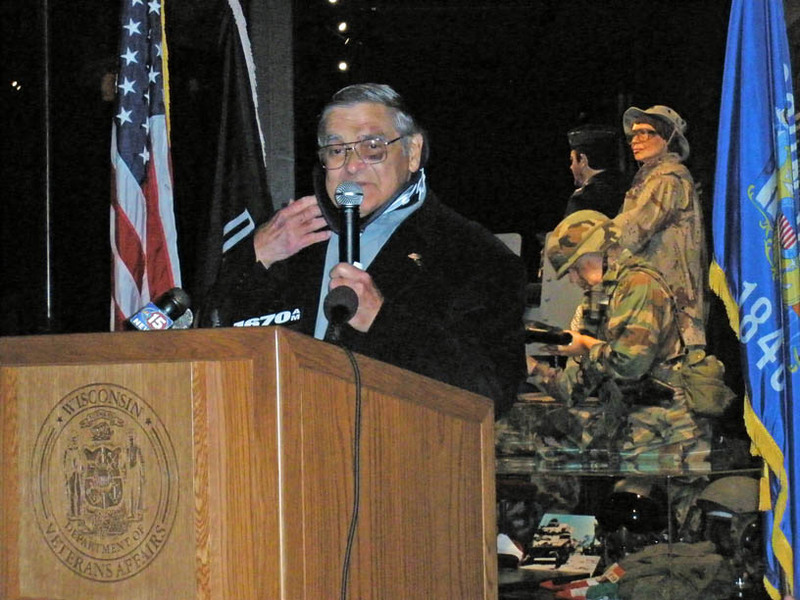 The Vietnam Veteran spoke today at a ceremony held at the Wisconsin Veterans Museum observing POW-MIA Recognition Day. NOTE: Thousands of Americans are still listed as MIA from WWII (78,750), Korea (8,177) and Vietnam (2,255). Nationally there are over 20,000 former POWs. There are over 300 former prisoners-of-war living in Wisconsin.